HCBT-OX fosters proliferation and development of neurons, axon (myelination), dendrites, and synapses in the cerebral cortex and hippocampus. Indications for neurogenic, antidepressant, anxiolytic, neuroregenerative (Alzheimer's Disease, et al.) , and anti-nueropsychodysfunction research. HCBT-OX fosters proliferation and development of neurons (neurogenesis), axon (axonogenesis, myelinogenesis), dendrites (dendritogenesis), and synapses (synaptogenesis) in the cerebral cortex and hippocampus. Indications for neurogenic, antidepressant, anxiolytic, neuroregenerative, and anti-nueropsychodysfunction research. Source: Proprietary guided extraction from proprietary developed strain within the Withania genus. Animal research demonstrates pronounced recovery, proliferation, and development of neurons, axons, dendrites, and synapses in the cerebral cortex and hippocampus. Dosages assayed in mice models ranged from 2-12mg/kg via oral administration. Multi-species animal research demonstrates marked enhancement of neuronal brain density and connectivity across all species assayed. Axonogenic capacity appears particularly pronounced and somewhat unique within such demonstrated efficacy. Research indication hold promise as a primary agent or adjunctive agent for antidepressant and anxiolytic effects as well as toward overall anti-neuropschyodysfunctional and anti-neurodegenerative effects. 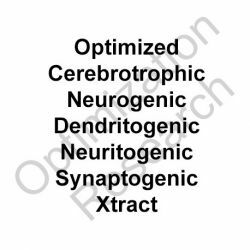 Synergistic cerebrotrophic capacity is noteworthy with other neurogenics that include Isoxazole-9 (ISX-9) and J147. Being that HCBT-OX is disposed to form a resinous solid, for most animal research applications it is suggested to crush into as fine a powder as possible and place into a 40% ethanolic hydroacoholic solution, which may best require some heat to reach near full solubility. "Solution'suspensions" are possible with the inclusion of glycerine to the solution. In the future TLR may supply HCBT-OX, as well as other materials, within solution or "solution-suspension' formats. HCBT-OX is slated to be trialed at dosage arms of 7.5mg, 15mg, and 30mg q.d. given within both oral and sublingual formats. A dosage of 60mg may be assayed for extreme conditions, though the higher dose arms are anticipated to have potential to produce some lethargy within brain metabolism is being shifted to accommodate the level of cerebrotrophicity, that it is theorized may at this level requires substantial resources. Rapid and prolonged anxiolytic and antidepressant responses are target goals being assessed as seen highly promising in animal models, which seem to persist for up to 72 hours post-administration. 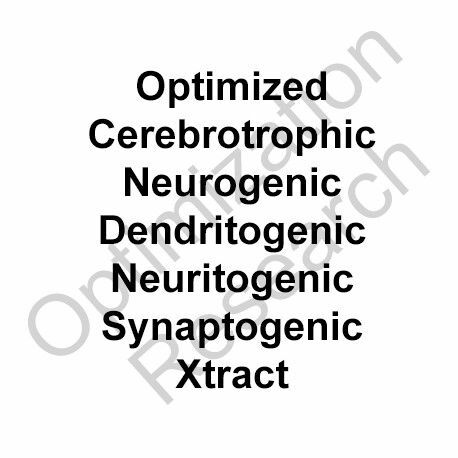 Neuro-regenerative and cognition enhancing assays are as well a target. Potentials for Alzheimer's Disease treatment, including significant or near total symptom reversal, appear promising. 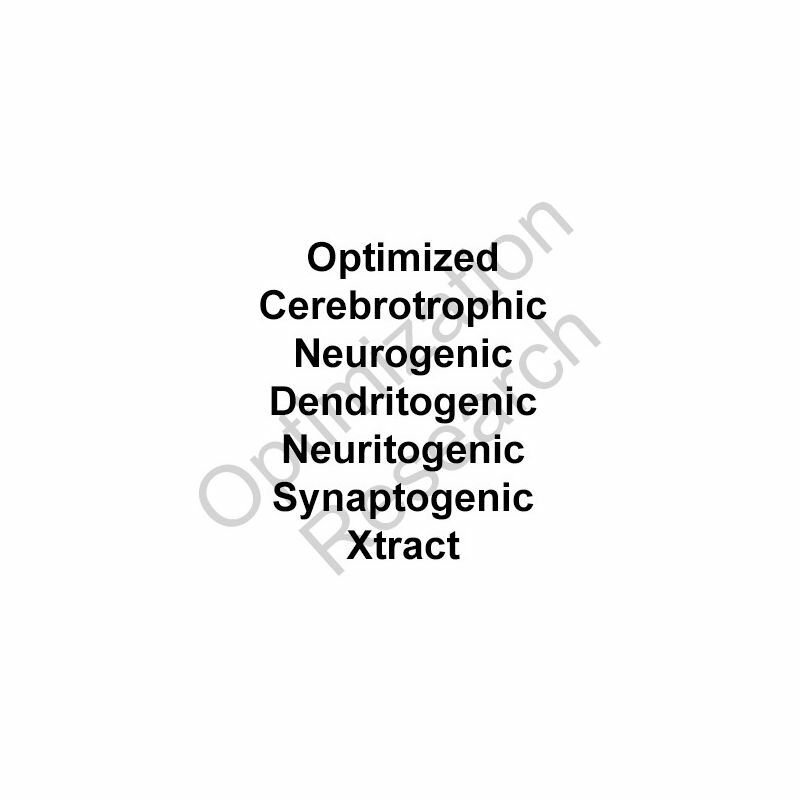 Axonogenic, synaptogenic, neurogenic, neuritogenic, and dendritogenic capacities are theorized to provide substantial repair to cerebroatrophy and/or damage within the neurological system.